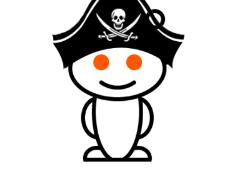 In the piracy space, Reddit’s /r/piracy sub-Reddit is an invaluable source of information. It has close to 350,000 subscribers, making it one of the largest piracy-focused discussion platforms on the Internet. As such, many users feel the section is precariously placed. As detailed previously, this often controversial forum is regularly subject to conjecture about its future, with many worrying that it may be shut down for breaching Reddit’s global rules, mainly after receiving too many copyright complaints. It’s important to know that /r/piracy is NOT the Wild West. It has a strict set of rules in place, including that people do not request or link to pirated or copyrighted content. Having this in place is important, since that’s what keeps the section in line with the law and out of trouble. However, what’s most important is how the sub-Reddit deals with repeat offenders. Most ISPs and service providers now have such policies in place to keep the law from the door but most people won’t appreciate just how tough /r/piracy itself is now being policed. In a recent discussion, moderator ‘dysgraphical’ revealed that he now effectively operates a zero-tolerance policy, not only for people posting links to infringing content but also people who request the same. “I’m very proactive in temporarily banning first time offenders of rule 3 [posting or requesting infringing content), and permanently banning any spam or intent to sell/distribute personal information. As long as the community keeps reporting rule breaking posts, we’re fine,” he wrote. That’s worth highlighting again. Most online platforms will tolerate three, four, or more actual infringements of copyright before taking firm action, while ISPs tend to err on the side of caution by only taking action against subscribers who’ve had multiple infringement allegations made against them. While this may sound harsh to those who feel all content should be free (and they should have the freedom to both request and obtain it), they aren’t running Reddit, they aren’t in charge of any sub-Reddits, or the ones that will suffer if a section is shut down for repeat infringements. In addition, /r/piracy has automated tools in place that aim to catch people breaking the rules (which go beyond the requirements of the law) and the law itself. These so-called ‘automoderators‘ aim to catch infringing posts immediately while making the mods’ life that little bit easier. “Automod catches a ton of request posts and automatically deletes them everyday. All together with manual mod and automod removals, about ~25 posts are removed daily for breaking the rules,” dysgraphical explains. Again, this is worth repeating. Those who simply have no respect for the rules of /r/piracy not only face suspension for a first offense, but also face a permanent ban if they attempt to outwit the system that protect the sub-Reddit’s future. TF has a system in place that’s able to monitor requests and other rule-breaking posts and capture copies of them before they are automatically deleted. It isn’t perfect, but we can confirm that /r/piracy and its mods (both human and machine) are very diligent. To some, it may seem counter-intuitive for /r/piracy to be so tough on piracy itself, but the entire future of the discussion platform is reliant on strictly policing the platform. If those in charge loosened their grip, there’s little doubt that a minority of people who simply refuse to read the rules would be responsible for the forum being banned by Reddit. However, it’s clear that since the opposite is true, the reality of the situation is much less precarious than some might assume. “Contrary to the fearmongering that Redditors love contriving, we have never been contacted by the Admins for any copyright infringement or sitewide rule violation,” dysgraphical adds.